The company for the RENT 20th Anniversary Tour. Photo by Carol Rosegg. 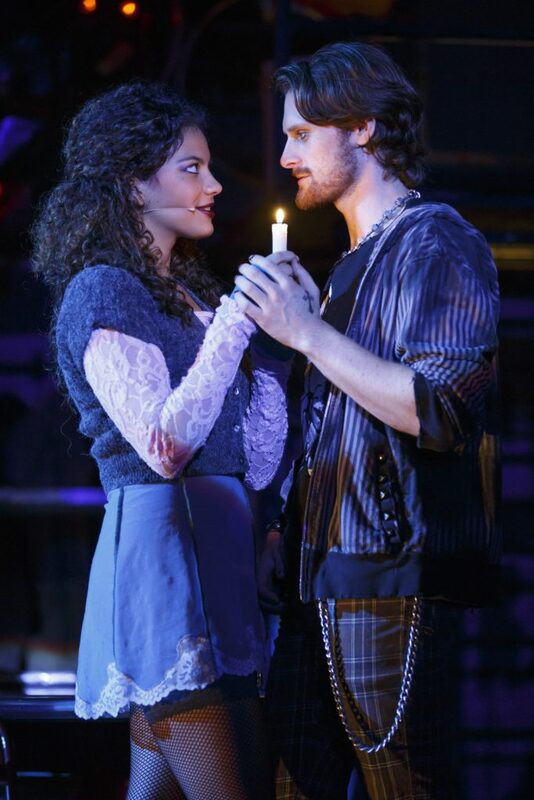 As the last notes of RENT sounded, the audience burst from their seats en masse in a standing ovation. After that response, much of the writing of this review seems superfluous. 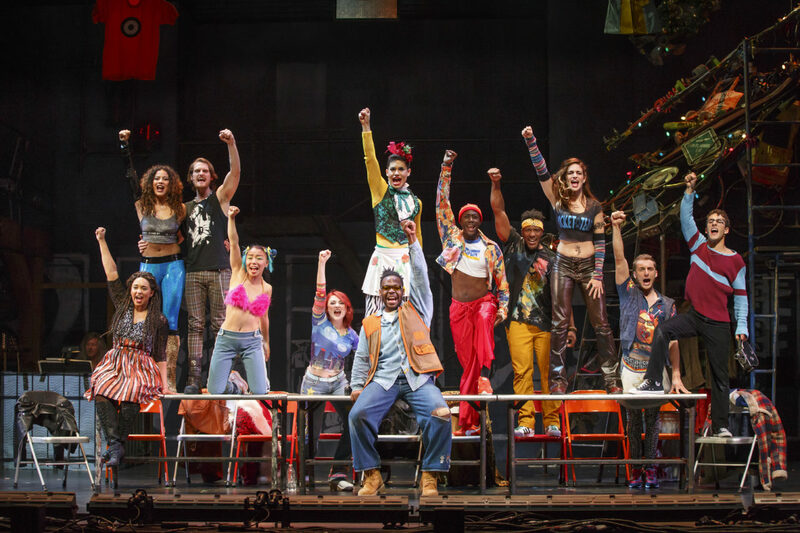 For a show on its 20th anniversary tour, RENT has weathered the years very well. Jonathan Larson’s retelling of La Bohème as a rock musical still sounds fresh, raw, and vibrant; if the orchestra has shrunk over the years, it doesn’t show too much. A new cast and spirited direction propel this story of artist squatters in 1990s New York City forward in a full but quickly passing 2 hours and 25 minutes of show. One of the more interesting promotions for this tour was advertising in the programs for Minnesota Opera’s recent production of La Bohème. If you happened to catch both, numerous parallels and references (musical, dialogue, and plot-wise) leap out to intrigue you. If you’re not familiar with either show, a look at the synopsis is probably in order – there’s a lot more going on here than in the typical Broadway musical, and once the kinetic choreography kicks in…just strap in for the ride. Joanne (Jasmine Easler) and Maureen (Katie LaMark) embrace in “Take Me or Leave Me”. 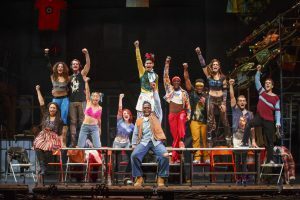 The touring company of RENT is young and energetic, with most of the actors in the same age range as their young but weathered characters. They’re also quite talented, making a favorite performance hard to identify. David Merino’s dynamic performance as Angel dominates many scenes; Katie Lamark’s electrifying run as Maureen in “Over the Moon” makes you wish you could see a full evening of her performing as the character. 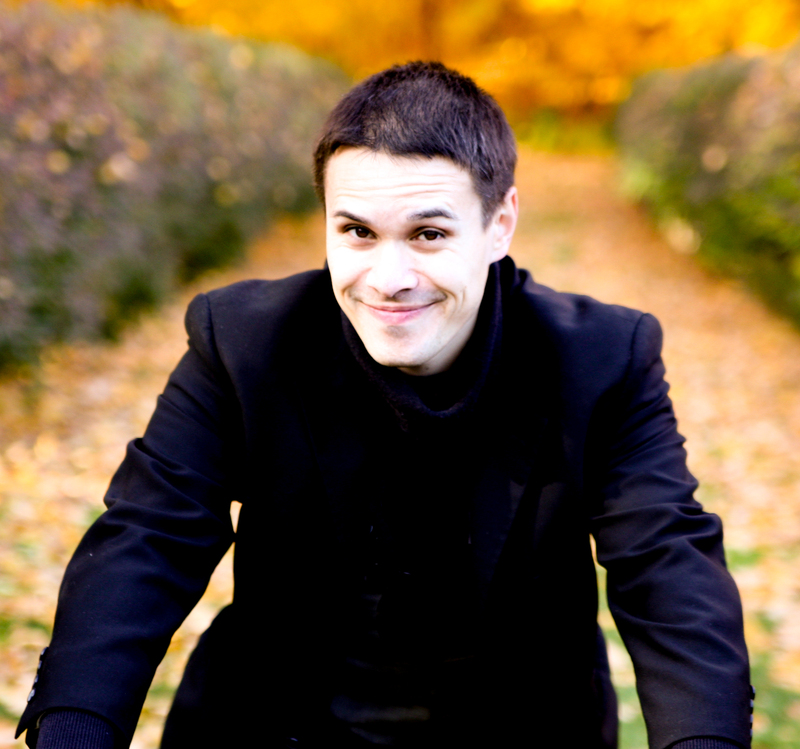 In a score so jam-packed with luscious gems and beautiful harmonies, trying to pick a favorite duet or ensemble piece is still all but impossible. Will it be the pulsing “Tango Maureen” with Danny Harris Kornfeld and Jasmine Easler? Kaleb Wells and Skyler Volpe in the playful “Light My Candle”? David Merino and Aaron Harrington in the melodious and touching “I’ll Cover You”? The crowd-pleasing crowd piece “La Vie Bohème” (Pippin revival fans will feel right at home) or “Seasons of Love”, an Act II opener so vibrant in its hopefulness that it became a mainstream radio hit? There’s a lot to love in the RENT 20th Anniversary Tour. Catch it while you can, because these rents aren’t going down. Mimi (Skyler Volpe) makes a dramatic entrance. Photo by Carol Rosegg. Mimi (Skyler Volpe) and Roger (Kaleb Wells) flirt. Photo by Carol Rosegg. RENT The 20th Anniversary Tour plays through June 11 at the Orpheum Theatre in Minneapolis, MN.